We know that breastfeeding holds many benefits for a newborn, but how often do we consider the health benefits of breastfeeding for the mother? Research shows that even breastfeeding for only six month holds a number of health benefits for mothers. 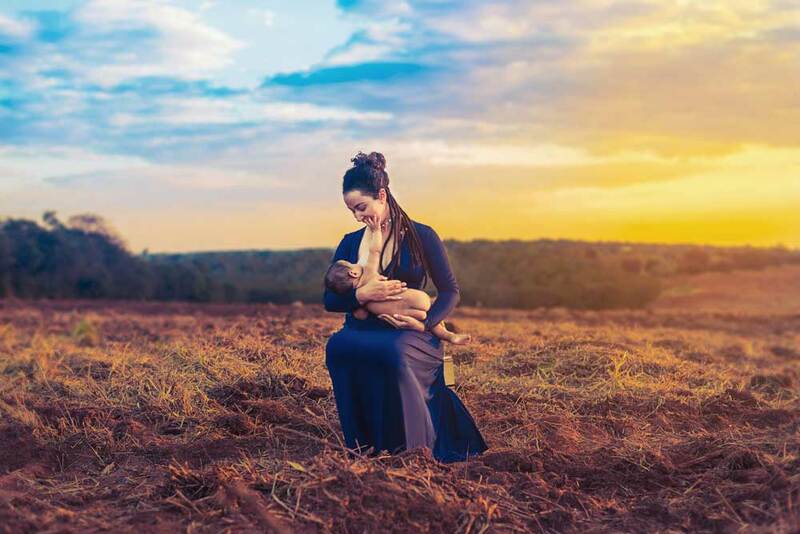 Just as a woman’s breast milk is designed specifically to nourish the body of an infant, the production and delivery of this milk aid her own health. Breastfeeding is not the be-all and end-all of motherhood. Not being able to breastfeed, doesn’t turn a woman into an uncaring mother. There are many reasons why some women can’t or shouldn’t breastfeed: the baby rejects the breast, the mother doesn’t produce enough milk, is on medication or has a condition that prevents her from breastfeeding. Having said that, nursing a baby is not easy. It takes persistence and dedication. So, when you feel like giving up, it’s good to know that what you are doing for your child’s benefit, also benefits you in the long run. Literature shows that breastfeeding reduces breast cancer risk and study results linking breastfeeding to reduced breast cancer risk is growing. A 2013 review of 32 studies concluded that the risk of having breast cancer was 14% lower among women who had breastfed their babies compared with women who never breastfed. The protective effect of breastfeeding is effective regardless of the number of births. The effect was even greater for women who had breastfed for 12 months or longer; these women had a 28% lower risk of breast cancer. While the protective effects of breastfeeding against developing breast cancer are well known, a new study has found that expecting mothers are not necessarily informed of the fact by their doctors. The study from the Ohio State University Comprehensive Cancer Center, Columbus, found via a survey that less than 20% of the women received this information from their health care provider. This is a serious omission since women said that if they had been told of the protective action of breastfeeding, it would have influenced their decision on breastfeeding. The issue affects African American women more. They have a higher risk of developing more aggressive triple-negative breast cancers. They also don’t choose to breastfeed as often as Caucasian women do. With heart disease being the number one killer worldwide, and women also being under increasing risk of heart disease, this is another incentive to breastfeed. In February this year, researchers at the American College of Cardiology reported that women with normal blood pressure who breastfeed their babies for at least six months after birth showed signs of better heart health years later. The same benefits were not observed in women who had high blood pressure during pregnancy. “The study adds to the evidence that lactation is important not just for the baby but for the mother,” said Dr. Malamo Countouris, the study’s lead author. The prevalence of diabetes has been rising worldwide in recent years. We know that a healthy diet, regular exercise, maintaining a normal body weight and not smoking can protect against type 2 diabetes, but for mothers, there is an additional way. Now, a 30-year study has revealed that mothers who breastfeed their babies for 6 months or longer have a lower risk of developing diabetes type 2. These mothers cut their risk of developing type 2 diabetes nearly in half throughout their childbearing years, according to the research published in JAMA Internal Medicine. This was an observational study which doesn’t provide the same strength of evidence as some other study methods. Depression after giving birth is a reality for many women. Worldwide about 13% of women who have just given birth and 19.8% of women in developed countries, experience a mental disorder, especially depression. The good news is that mothers who breastfeed their babies benefit from the workings of the hormone oxytocin, otherwise known as the ‘love hormone’. Pregnancy increases oxytocin levels and breastfeeding releases even more oxytocin, which has anti-depressive and calming effects for the mother. According to this study, breastfeeding mothers report reductions in anxiety, negative mood, and stress in comparison to formula-feeding mothers. While the association between breastfeeding and postpartum depression has been the subject of various investigations, it’s not clear what exactly that relationship is. For instance, does depression reduce the likelihood that a mother will breastfeed, or does the decision not to breastfeed increase her risk of depression? A number of studies have linked breastfeeding to protection against rheumatoid arthritis (RA). Back in 2004 research from Harvard’s Brigham and Women’s Hospital showed that nursing for a total of two years decreased the risk of contracting RA by 50%. Nursing for 12 to 23 months lowered the risk by 20%. In 2014 a study of more than 7,000 older Chinese women found breastfeeding, especially for a longer duration, is associated with a lower risk of RA. This study showed that women who had breastfed their children were about half as likely to develop RA, compared to women who had never breastfed. During breastfeeding, beneficial hormones are released into the mother’s body that strengthens the bond between mother and child. Now science has found that mothers who breastfeed their children for an extended time also show more maternal sensitivity throughout the child’s life. The researchers of the 10-year longitudinal study published in Developmental Psychology defined maternal sensitivity as the mother’s timely responsiveness to her child, her emotional tone, her flexibility in her behavior and her ability to read her child’s cues. In other words, breastfeeding creates a bond that helps a mother to relate to and understand her child throughout their relationship. The longer a mother breastfed, the greater maternal sensitivity she developed, but the effect sizes were small, according to the research findings. The study’s lead author, Jennifer Weaver, Ph.D., of Boise State University, stressed that the study is not intended to diminish the bonding experiences of women who are not able to breastfeed. Breastfeeding can help you lose weight gained during pregnancy. Well, it takes a lot of energy to produce milk. It takes about 20 calories to make just one ounce of milk. So if your baby drinks 19 to 30 ounces a day, that’s equal to between 380 to 600 calories used to produce your baby’s milk. Besides, when you breastfeed, you use fat cells stored in your body during pregnancy — along with calories from your diet — to fuel your milk production, which also helps. However, it is also true that not all women lose weight while nursing their babies, even if they breastfeed for months. Fact is, postpartum weight loss varies from woman to woman, but in general, it’s true that mothers who breastfeed are more likely to return to their pre-pregnancy weight than mothers who don’t breastfeed.